It’s not often that I photograph someone in Chicago where an Alexander Wang Rocco bag is the least impressive piece in the look. From her crystal earring to the oversized jersey, Muna’s outfit is beyond cool and effortlessly curated. 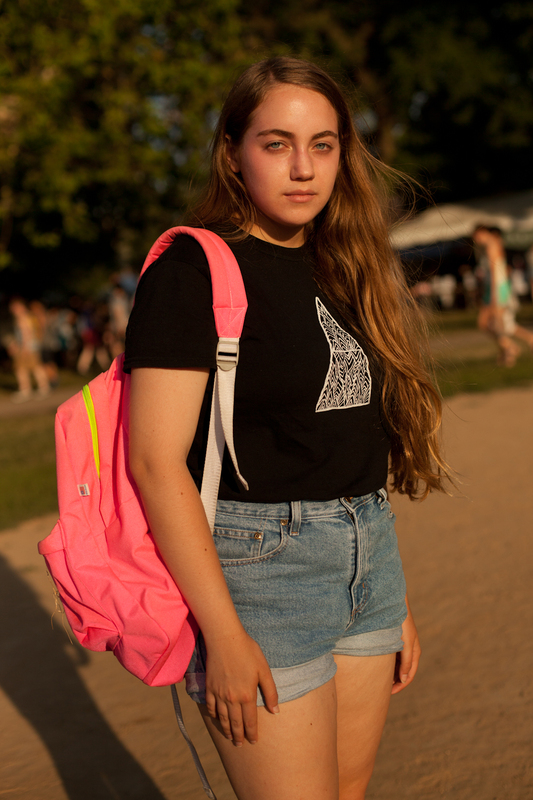 To see more of my street-style photos from Pitchfork, visit TeenVogue.com. 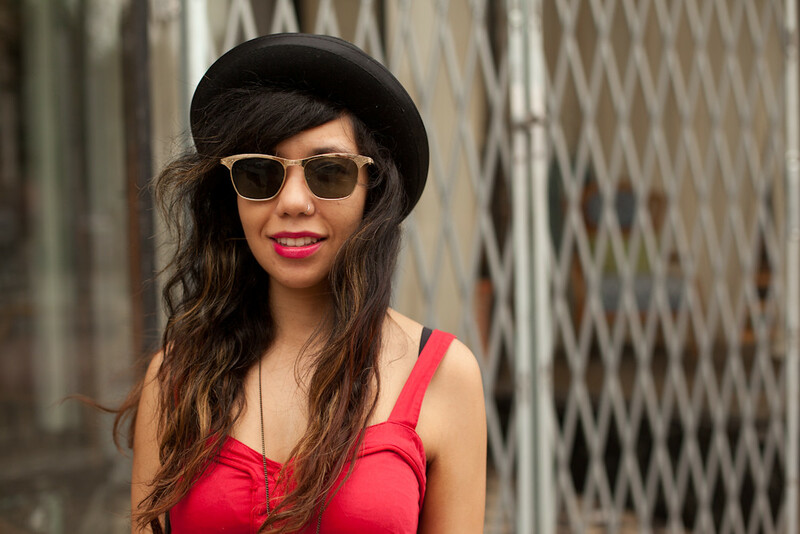 Maybe I’m biased because red is my favorite color, but wearing a crimson dress is a surefire way to catch my eye. In fact, my entire apartment is decorated in various shades from an oxblood oriental rug (it really brings the room together) to a lipstick red couch and tons of accents… yeah, I guess you could say I’m obsessed with red.